An Assistance Dog is a dog trained to perform physical tasks to mitigate an individual person’s disability. – Guiding dogs mitigate their handler’s level of blindness by bringing notice to changes in elevation and overhead obstacles, finding stairs, pointing out lift and crossing buttons, and leading their handler along. – Hearing loss is mitigated by the dog signalling that there has been a sound and directing the handler to the source of it, as well as signalling when to leave the building during an emergency, and letting somebody know when their name is called. – Mobility-based disabilities are mitigated by the dog picking up objects that are painful or dangerous to reach for, hitting crossing buttons and light switches, opening doors that a wheelchair would block if it were right up against them, or that might injure the joints or skin of the person to pull open themselves, a nd putting laundry in and out of the washing machine. – Various medical conditions can be alerted to with a signal from a dog if the handler does not get symptoms in advance, or can be responded to by a dog afterwards, such as by fetching a medical kit or hitting an alarm if the handler is incapacitated. – Psychiatric conditions, Dementia, and developmental disabilities such as Autism are mitigated by the dog providing physical sensations to interrupt panic and meltdowns, performing medication reminders, combating medication side-effects by getting a drink, rescuing dropped objects and opening the curtains, providing a physical buffer between the handler and strangers on command, and letting emergency responders into the home. In every case, for each kind of disability, an Assistance Dog does something physical. Some people say that their dog “alerts to their anxiety” or “alerts to upcoming panic attacks and flashbacks.” This is nonsense. A dog does not psychically know when you are going to have a panic attack. What a dog can do, is pick up on signals that someone is increasingly anxious, such as hand-wringing or jumpy behaviour, and be trained to interrupt that behaviour when they see it, e.g. by parting the hands with their nose. This allows the person to realise that they are becoming anxious, take a step back, and think about the situation. The building anxiety may or may not have led to a panic attack. 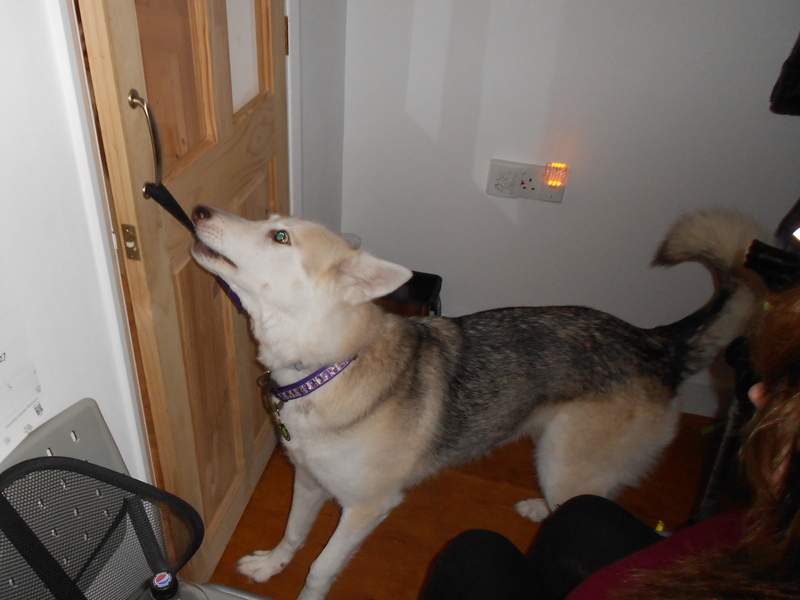 The dog has not made a prediction, but has responded to a cue with a trained behaviour. Something that dogs can use to respond to panic attacks is Tactile Stimulation, which some people call “deep pressure therapy” or “DPT.” Real Tactile Stimulation involves the dog placing its weight on its handler’s thighs with its two front paws. For appropriately-sized large dogs, this is a significant weight, and can provide enough of a focal point for the owner to start to recover from a panic attack or flashback. Anything other than two paws on the thighs, is not Tactile Stimulation or DPT. A dog gracing its chin, head or paw on your ankle, leg or shoulder is not helping you. It is just leaning on you because it is your dog. Dogs cannot be trained to constantly monitor a pulse, although for some handlers with Dysautonomia and cardiac conditions, they may be able to discern changes in heart rate or blood pressure which mean fainting may occur, and have their response shaped into a formal alert. A dog whining, coughing or sneezing is not providing a medical alert. A dog cannot give a medical alert to parents at home while a child is at school. The dog needs to be within reasonable distance of the handler in order for a real medical alert to be given. There is no way for odorant molecules to leave the person, travel through the walls of a building, wind down streets and blow all the way specifically to the dog’s nostrils. Diabetic alerts are scent-based; the body releases scents when blood sugars become too low or too high. With individual scent samples from the handler, dogs can be trained to provide a specific response that lets the owner know they need to test their blood and take appropriate action. Most diabetics feel symptoms when their blood sugar goes out of range in either direction, and so only a small number of diabetics – those who do not get symptoms – need medical alert assistance dogs. It is not known entirely how dogs alert to seizures, migraines, fainting or other cardiac conditions. Dogs must already have an aptitude for alerting that can be shaped, because it cannot be trained into just any dog from scratch. 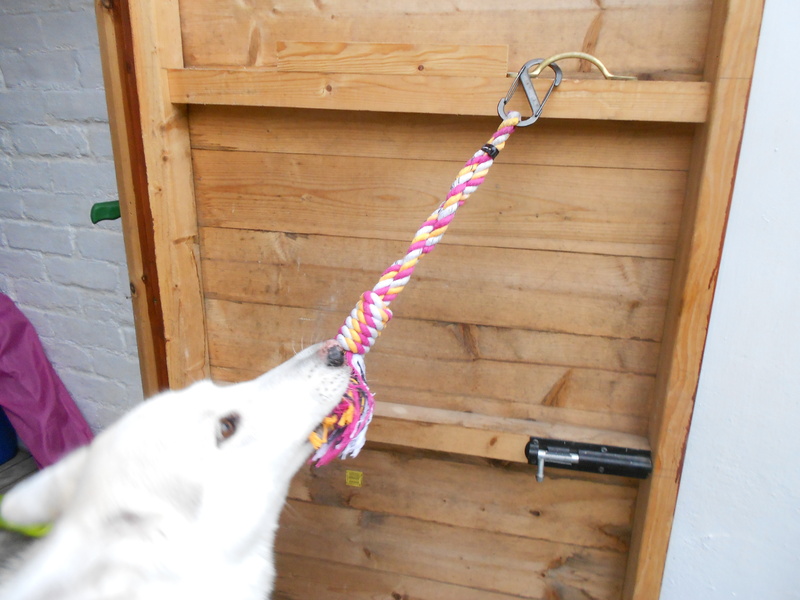 Interruptions of anxious behaviour, panic attacks, flashbacks, and alerts of hallucinations are cued by behavioural changes in the handler that the dog has been trained to notice. It takes around two years to train an Assistance Dog. A 5-month old puppy is never a qualified Assistance Dog. A dog that makes you feel more comfortable with its presence, is not an Assistance Dog. Dogs are not supposed to be living lucky charms that are carted everywhere for confidence. 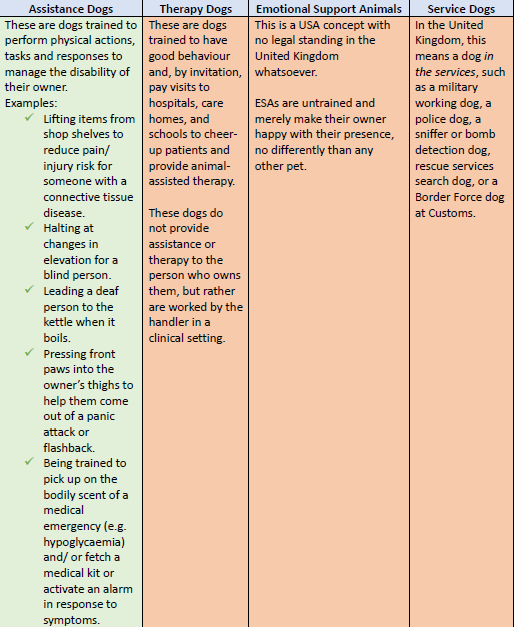 “Emotional Support Animals” are untrained pets and are an American concept that does not exist in the UK. They are not Assistance Dogs.